'Whom shall I send, and who will go for us?" Then said I, 'Here am I; send me'." Greetings from the jungle! This is officially the first prayer letter that we have been able to send from the jungle. Normally, we have to travel the 8-10 hours to Cuzco, where we have to do all of our normal purchasing, just in order to send our letters! This change is because our community recently acquired an internet tower. Many of you followed us over the last six months, as we traveled from coast to coast and from border to border during our furlough. 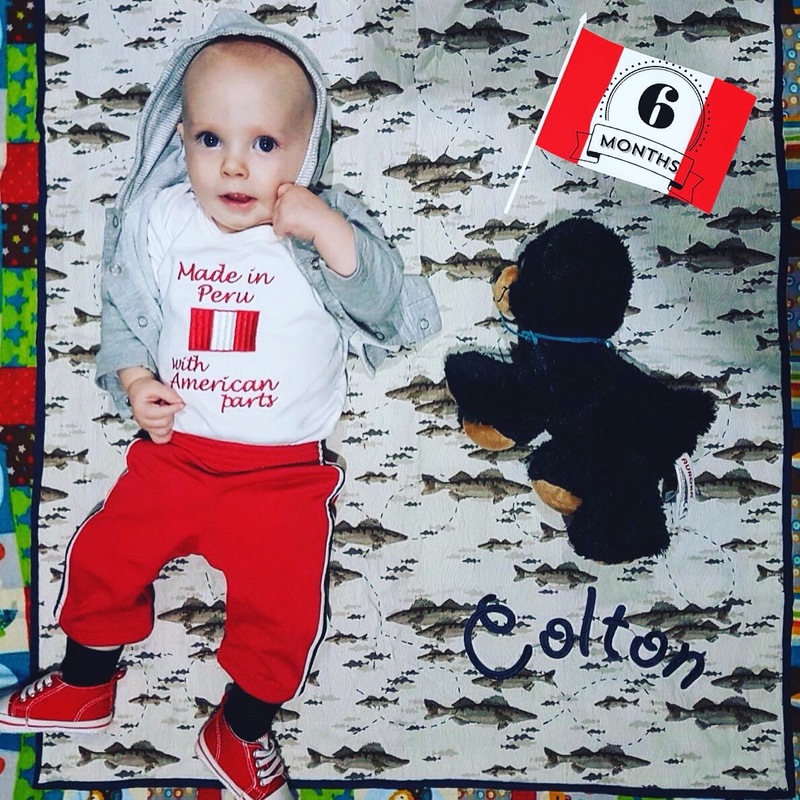 We were so blessed to be able to use an RV, which created a sense of home and stability for Colton. We enjoyed seeing many of you and want to say sorry to those we missed. In June we eagerly returned to Peru and quickly made our way home to the jungle. Upon arrival we were immediately met with some challenges, some of which surprised us and some of which we had anticipated. The main challenge that has taken much of our focus during this last year has been the construction of our home and ministry facility here in our town of Salvación. As you may remember, we had to dismiss our previous roof contractor for not completing the contract and for doing very poor work. We even hired a reputable home inspector from Lima to do an official inspection. In his professional opinion, we should completely remove everything that was done and start over, because of the poor quality of work that was done. Upon arrival we were able to see the gravity of the problems. Our new contractor and others who have had similar experiences with these kind of projects encouraged us to pursue legal action because of the overwhelming evidence that we have in our possession. They said we should have no problems winning in court. However, as my brother-in-law (a missionary in Peru for most of his life) pointed out, the problem is that, even though we are in the right and have all the evidence to support it, the justice system here is incredibly corrupt. More than likely, we would spend much money and time fighting in court with potentially no verdict. So with that information, we have decided to just move forward and pray for God’s continued provision and protection. We are encouraged by the fact that over the course of the next two months, another missionary friend, as well as a friend from a supporting church in California, are both coming to help weld, remove, fix, and replace the roof. We praise God for His continued, faithful provision. Although we will have to purchase some extra materials, it will cost significantly less than the S/30,000 (soles, almost $10,000) it would have cost to have a different local contractor redo everything. As we returned to Peru, we knew things in the church plant would be suffering, as well. When we arrived to the jungle, all three of us were sick and had to delay advancing in the construction and in ministry for a couple weeks in order to recover. Edson, our national partner in the ministry, had done an incredible job keeping everything afloat during our absence and preached the two Sundays until Bob felt better. Please pray for the Radio Ministry, that the Lord would allow us to reach deep into the jungle with the Good News of the Gospel! 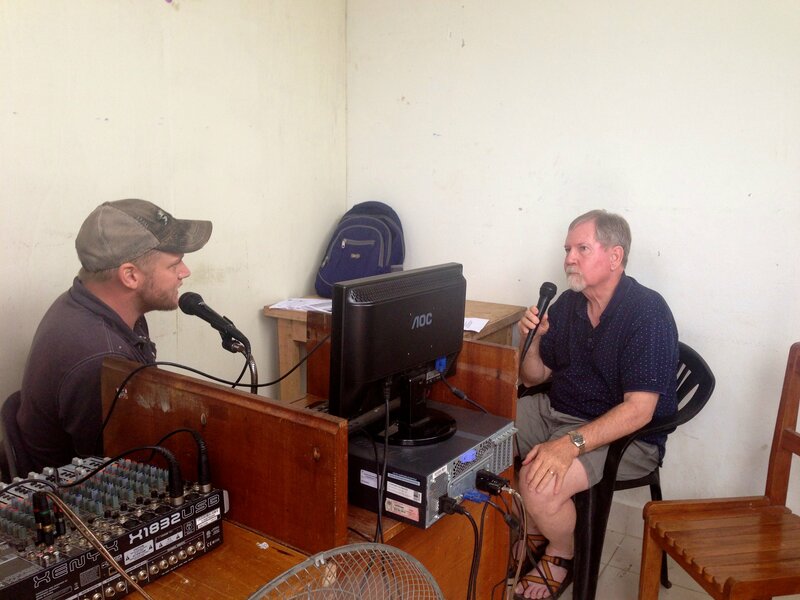 Since our return, we have been able inquire more into doing more with the radio ministry. We are happy to report that we have begun broadcasting Monday through Friday from 9 – 10am. We have had many people form our community let us know that they are listening to our broadcast and that they enjoy the music and preaching. We are praying that the seeds that are being planted would soon spring forth new life, eternal life. 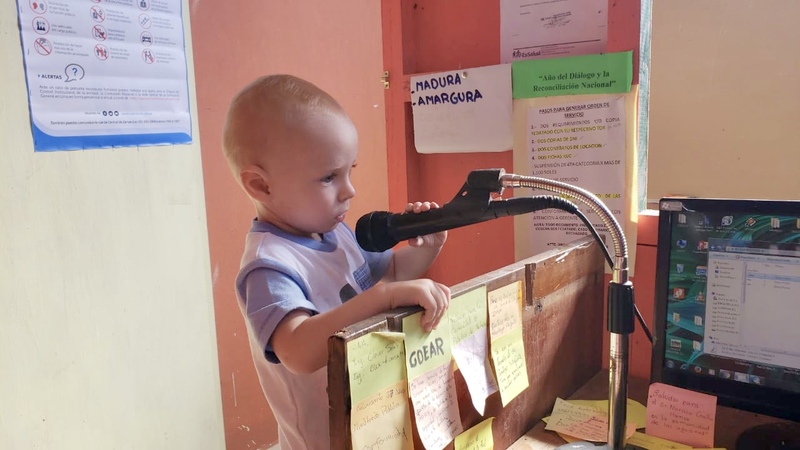 In light of this exciting ministry, we are looking into the possibility of opening our own radio station here in Salvación that would reach deep into the jungle. Currently we are working in conjunction with our mission’s radio station in Lima to see how feasible this option is. The only reason this option is even a possibility is because, as we mentioned at the beginning of this letter, we very recently had internet installed and by the end of the month we are supposed to have stable electricity. These are two important items we would need to have in order to have a successful radio station. If the Lord allows us to start this radio station, we will live stream our radio in Lima via the internet and play it here for most of the programming. 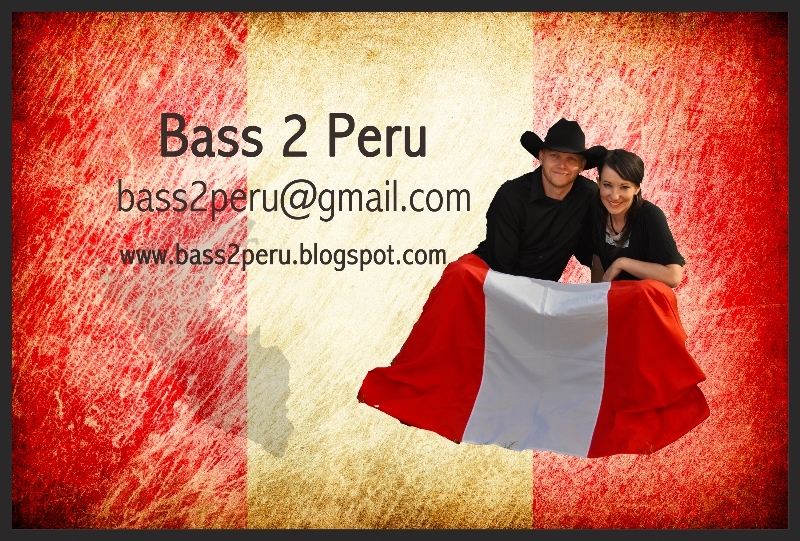 Greetings from the Bass Tribe in the jungle of Perú! The rainy season has officially begun, which means that some days it drizzles steadily all day long and some days we get torrential rainstorms, which dump many inches of rain in just a few minutes. Already we have had several mudslides in the area. A few days ago, a young truck driver from our area fell asleep at the wheel, causing the truck to plummet down the mountain, instantly killing one man and severely injuring himself and the other passengers. A couple weeks ago, we had to use our winch to pull out a truck from the raging river at the entrance to our town, Salvación. We definitely covet your prayers during this time of year, especially as we travel in and out of the jungle. Sometimes it is difficult to know where to begin talking about all of the events and activities that have happened since our last prayer letter. In the last two months alone we hosted three different groups. The first group was a work team who came to help us in the construction project. The second was a young, talented couple from our home church who came down to help us with our furlough presentation video. The third group was a medical team who came to help serve in our community. All of these groups have kept us busy but blessed! We have had some disappointments, as well. One family left the church, because we taught on giving tithes and offerings to the church and they said, “God is too expensive.” Also, a wedding was planned, but later rescheduled for next year. However, the blessings far outweigh the disappointments. We have seen new believers who were living in sin quickly respond to biblical teaching and make significant changes in their lives. In November, we are blessed to host a membership class in our home. This four-part class goes over many aspects of faith and practice, including the Baptist Distinctives. By the time you receive this letter, we will have finished this class, baptized three people, and added four members to the church, la Iglesia Bautista Independiente de Salvación. Another answer to prayer is that the regional government and local justice offices have approached us about officially taking some of the counseling cases from the community. This is such an exciting step!!! There is so much more we could say about these last busy weeks! It has been incredibly exhausting but also thrilling to watch God at work here in the jungle! Thank you so much for your prayers for our construction. This property, called the Centro Bíblico Bautista del Manu (Baptist Bible Center of Manu), will not only house our residence but also will be used for counseling sessions, will be available to our church for activities, will be used for future medical campaigns, and Lord-willing will be used for a future Bible Institute. The on-going construction is advancing. We covet your prayers, as we try to finish the main construction before we leave for our furlough in January. We still have some needs, so if you feel lead of the Lord to help with this project, please contact us! Our furlough will begin right after the new year and will end in mid-June. During this time we will travel from Florida to California. We are looking forward to visiting each of our supporting churches, which means visiting 30 churches in little over five months. Although our time will be very short, we want to see each of you! We covet your prayers as we plan and prepare for this important time. 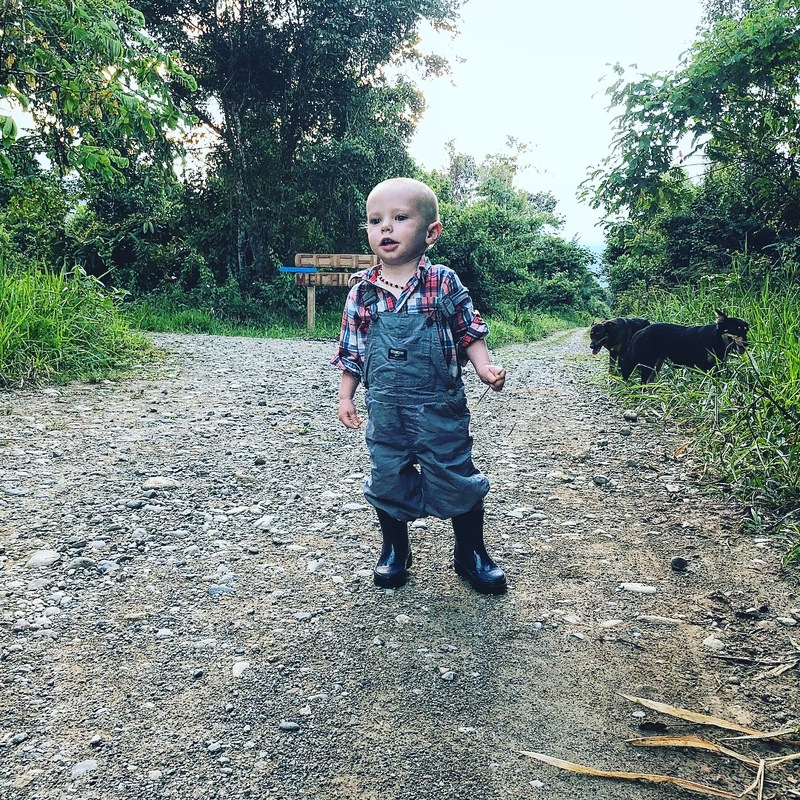 We hope to travel in a travel trailer or motor home, as it will help us maintain some stability, especially for our son, who is not a newcomer to changes, but will need some consistency! Please pray for us to find something suitable for our needs. Contact us, if you have some information that might help! As always, we want to thank you for your faithful prayers and support. 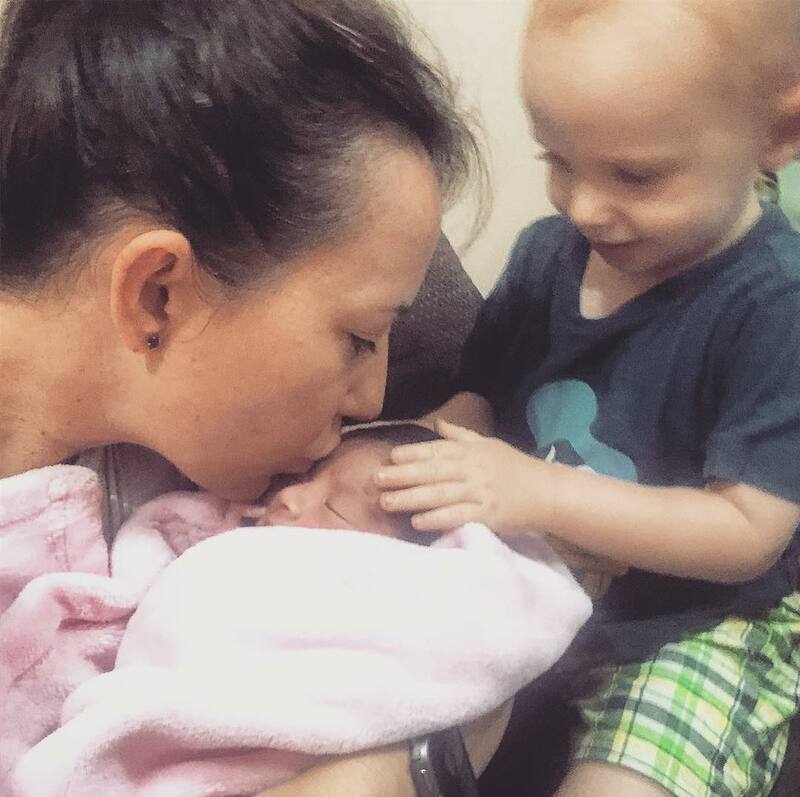 We have been through some challenging months, but through prayer and encouragement, we have seen the Lord bless! Specifically we want to thank you for praying for our health and safety. We’ve had some bumps and bruises along the way. Most recently, Bob broke some ribs, when working on the construction. We’ve also had to take Colton to the doctor to take care of what we lovingly call “belly bugs” (parasites)! Overall, we are in good health, so thank you for praying for us! We pray the Lord’s blessings on you and your families, during the upcoming Thanksgiving and Christmas season and look forward to seeing each of you next year! April was a busy month, as we focused on teachings surrounding Easter or what we call Resurrection Sunday. Traditionally people in our area are incorrectly taught that they should only eat fish during this cultural holy week because that is what Christ ate. While we did teach on why this practice is unbiblical, we focused on the death and resurrection of Jesus, the Son of God! 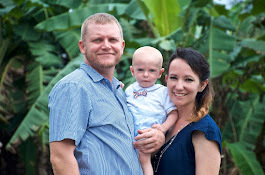 April also brought a huge blessing in that the Lord allowed us to purchase a small piece of property on which to build our home in the town of Salvación. Originally we received permission from the town engineer to move forward with building a facility that would house the church and other ministries. However after buying the property, the mayor who is Adventist blocked us from being able to move forward with these plans. We know the Lord’s plans are different from our own and we trust that His plans are best! The believers have been giving their tithes and offerings and we pray that we can purchase property for the church within the next couple years. During this month, Becky started a new ministry for our local teenage girls called “Señoritas para el Señor.” The desire is to provide a fun, safe environment to do activities, as well as go through a Bible study specifically for teen girls. May brought some exciting times both personally and in the ministry. Bob’s mom came in May to help us for two months! Her presence allowed Becky to be involved in different ministries to a greater extent. At the church we had a special Mother’s Day service and had several visitors. One young man whom Bob was able to lead to the Lord last fall brought his entire family, who are Catholics. This young man has since moved to the capital city of Lima to be close to his fiancé and child. We are praying for the salvation of his entire family! Our big activity in May was a medical campaign with a group from ORH (Operation Renewed Hope). During the four-day campaign, this huge 40-person group was able to see over 1,000 patients in two different communities. Over 100 people accepted Christ as a result of the one-on-one introduction to the Gospel. We are still working on the follow-up from this ministry! June kept the same busy pace. We had our special Father’s Day service, at which we had some visitors from the community. Our special speaker for Father’s Day, Larry Fogle, was also our special speaker for our 2nd Annual Family Conference, which we hope to have each year. This year the conference went from Wednesday to Sunday. Each night we increased in number, almost doubling our original attendance by Sunday. Two families that have been regularly attending our church services faithfully came each night, bringing different members of their family. During the conference church members made some exciting decisions. One of the issues in our area is that people don’t usually get married. It’s an epidemic throughout Peru, especially in the jungle. We had one couple who has been faithfully attending the church decide to get married on August 31st! Bob is privileged to be able to officiate the wedding. Another couple would like to get married, but the man is currently not a believer. We have been working with this couple, praying that he will accept Christ. Pray with us that we can have yet another wedding this year! We were so blessed and encouraged by the ministry of Larry Fogle here in Salvación. 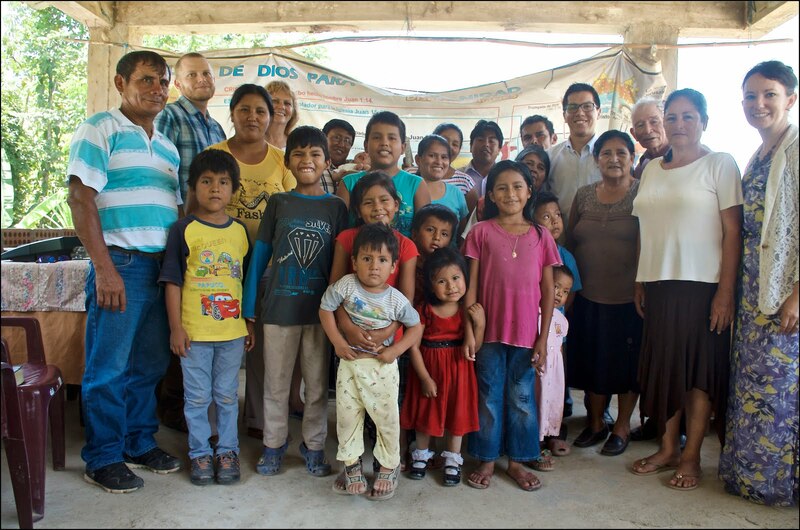 After our campaign, Larry had the opportunity to speak at two more family campaigns in the Cusco area. He has certainly been a blessing to all of us in Peru! On the Saturday of the campaign, we hosted a special ladies ministry during the family campaign. Becky used her Polaroid camera to take an instant photo, which they used for the stamp craft that Bob’s mom Terry brought. We didn’t have a huge attendance, but the ladies who came really enjoyed their time! From ladies ministries to children ministries, the Lord greatly blessed our 2nd Annual Family Campaign! We praise the Lord for our special speaker, Larry Fogle, who is director of the PEP ministries at BMM. -Continued healthy and safety for our family. We are grateful Colton has adapted to the jungle so well! Check out our Facebook Page for our most recent photos!!! Surprise! Baby Bass is on the way. We would like to be able to announce this special delivery a little more creatively, but because of some complications with our new miracle, we feel it's best to let you know, so you can be praying for us. Baby Bass is due January 1, 2017. This has come to a HUGEsurprise, considering our past (almost) fourteen-year struggle with infertility, as well as the stresses we have faced lately with Bob's accident. But, God is great and still works in miraculous ways. Because of some complications and the high-risk nature of this pregnancy, Becky will need to be on bedrest, which means that she cannot travel back to the jungle for at least the next month. After that, we will see what the doctor suggests. Please pray for Bob. He traveled to Cusco on Monday and will soon travel to the jungle. As you know, he has not fully healed from his shoulder surgery, so pray for him, as he makes this trip. He needs to make this trip in order to organize for upcoming visitors. Also, he will be trying to do some basic cleaning on our home. He will return to be with Becky on the coast, as soon as he can get those things arranged. From there his travel plans to the jungle depend on Becky's status. God's plan and timing is often not our own, but His plan is always perfect! We covet your prayers as we prepare for this new blessing. This means many changes ahead, although our resolve and ministry focus have not changed. However, for the safety of Becky and the baby, we will have to make some sacrifices. Thank you for praying for us and for rejoicing with us. We truly consider this a miracle from the Lord! Although the last few weeks have been difficult, the Lord has bountifully provided for us and has lovingly protected us from the situations we faced. It was a wonderful reminder to us of all of the amazing gifts God gives to His children. A few weeks ago, we took a scheduled trip to Lima for several reasons. While in Lima, we also took advantage of being in an area with good medical care to have Becky’s thyroid checked. She had been struggling the last few weeks in the jungle and the check up proved necessary. During our time in Lima, we were invited on a short trip to the southern coastal city of Ica, where we would enjoy some activities there, including riding four-wheelers and motorcycles on the sand dunes. Unfortunately, Bob suffered an accident on the first day of the trip and ended up needing surgery for an AC joint separation, which means that his clavicle bone separated from his shoulder. In turn this injury tore the ligaments connecting those bones. Additionally, he suffered multiple fractures and bruising of his ribs, as well as deep bruising on his body. Thankfully, we did not face a life-threatening situation and are grateful to have received excellent medical care at the clinic in Lima where we ultimately took Bob. The Lord lovingly protected us from a crooked doctor in Ica, which is why we chose to return to Lima. 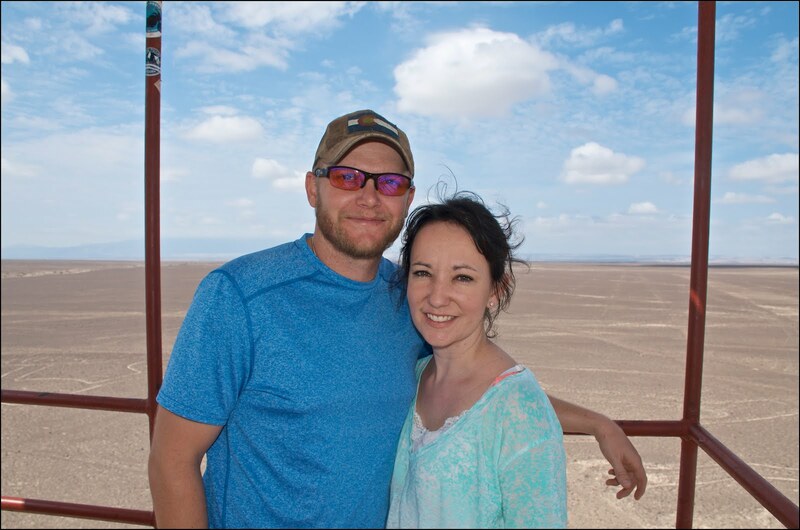 Because of our extended time in Lima that the recovery has given us, we have been able to reconnect with friends from our time in Lima, as well as gain some new friends the Lord put into our path. Please pray for Juan Antonio. We met him on a day that we had appointments. Bob had the opportunity to speak with Juan for over three hours about his spiritual condition. They exchanged numbers and have been in contact ever since. Due to this accident, we have had to delay our return to the jungle in order for Bob to recover. Unfortunately, the jungle environment, which is hot and humid, is not a good place to recover, as infection can easily set into a wound. Our current plan to return to the jungle is on the sixth of June, pending clearance from Bob’s doctor. 1 1). The ministries in the jungle. We have been in constant communication with our national pastor and the members of the church. The pastor is doing a wonderful job in our absence and even had a successful Mother’s Day event for the ladies of our church! 2). Bob’s healing. The last stage of his healing will be to remove the pins connecting his shoulder and clavicle bones. He will have one titanium screw located on the underside of the bones that have been essential in helping the ligaments reattach. The doctor has been happy with how he is healing and says that Bob will eventually regain his full strength and mobility. Praying for that to be the case! 3). Becky’s health. Thankfully her thyroid levels have once again stabilized and because of that fact, she is feeling much better. Additionally, a special “Thank You!” to those who prayed for her, as she finished her Masters Thesis! She received an excellent report and has since graduated with her Masters in Biblical Counseling with a 4.0 GPA. We would love to share her Thesis entitled “He Chose to Call Me Barren: Experiencing God through Infertility.” Please contact us if you would like for us to send it to you! 4). Future ministry plans. Currently, our plan is to return to the jungle the first week in June. We have a very busy June and July planned, as we have two groups and a special church anniversary celebration planned during these months. 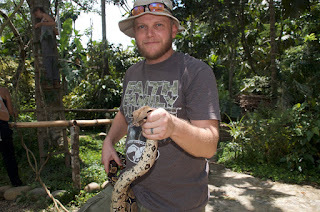 Additionally, we are thankful to be nearing the end of our first year of ministry in the jungle. Over the next few months, we hope to begin Bible studies in neighboring towns with hopes of a future church plant. Pray for God’s direction in these future plans! Again, we want to thank you so much for your love and care for the ministries in the jungle. During 2015 we are grateful to have experienced God´s providing hand each step of our path! We give Him all honor and glory for what He did this year and for what He will do in the years to come. We began 2015 completing the require language study at the Spanish Christian School in Lima. Additionally, we attended Iglesia Evangélica Bautista de Salamanca and helped in several ministries during our time in Lima. Becky helped teach several ladies Bible studies, as well as used her talents during several special events for the ladies. Bob spoke several times, including the teens Sunday School. We are thankful for the church in Salamanca and for our language teachers, who also attend that church. They made us feel at home and for that, we are grateful! Manuel, a special little boy for our family, handmade Bob this wooden ship! Was a special gift! In January, we were privileged to put our language studies to the test during a medical missions trip to the mountains outside of Lima along with one of our fellow missionary families and their church from the States. Bob was in charge of logistics and Becky translated for one of the visiting dentists. We learned a lot that week and were both challenged in our language skills. Becky was also privileged to help lead one of the Peruvian dentists to the Lord that week. The Lord blessed greatly! February brought with it big blessings, as we were able to purchase a used Toyota Hilux truck. Purchasing the vehicle at this time gave Bob adequate time to complete the paperwork, as well as the needed repairs and updates to make the truck jungle worthy. Since we were in Lima, we were able to do research and look around for the best deals. We now have a vehicle that can safely get us around the rough, unstable jungle roads! Our truck is called "el sajino" which is the name for a jungle pig of our region known for its ability to roam the jungle with ease! During our time in Lima, we were privileged to host people in our apartment many times, and became very close with several families in our neighborhood. To this day, those friendships continue and we pray for the salvation of many that we were able to meet. We are very grateful for the time we had in Lima. Enjoying the famous Nazca Lines! In July, we finally moved to Cusco. Bob made the two-day trip in the truck along with a friend from Lima. Becky flew the next day, after finishing the cleanup of our apartment. During this transition, we found out that due to the pregnancy of the wife of our national pastor, our national team would need to leave the jungle for several months in order to prepare for and to recover from the birth of their son. 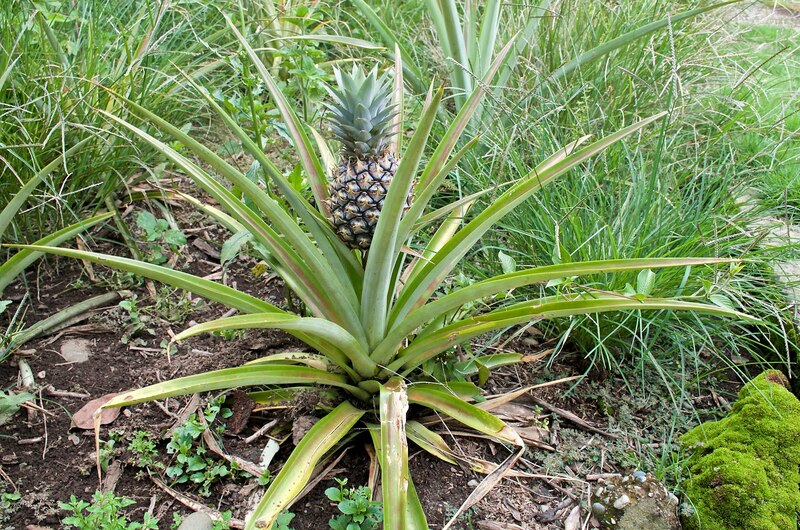 This would leave the church in the jungle without a pastor for several months. Because of this, we requested special permission to do our internship in the jungle, in order to assist in the ministries, while our team was in Cusco. We were able to thus begin our internship through being in constant communication with our senior missionaries to consult on different situations we were facing in order to get direction and counsel. 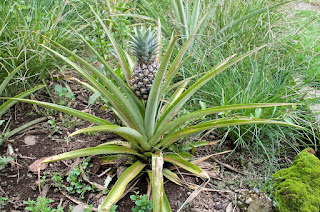 Then in a quick survey trip in late July, Bob found a home to rent in the community of Pilcopata and returned to Cusco for supplies and to pick up Becky. We returned in August and began doing needed repairs to our rental home. The home had not been inhabited for the previous four years and the jungle was literally destroying it. Thankfully by the end of the year, we had a home that was suitable for our family, as well as for any visitors we may have in the future. Upon our arrival we immediately jumped into ministry. 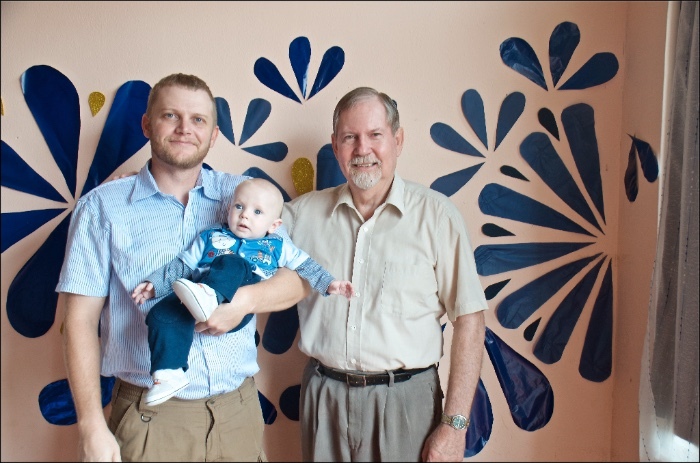 Bob helped with the music ministry, began preparing his preaching series for when the national pastor left for Cusco, as well as doing Bible studies in the homes of our church members. Becky played the piano for the church services, as well as helped with the children’s ministry. 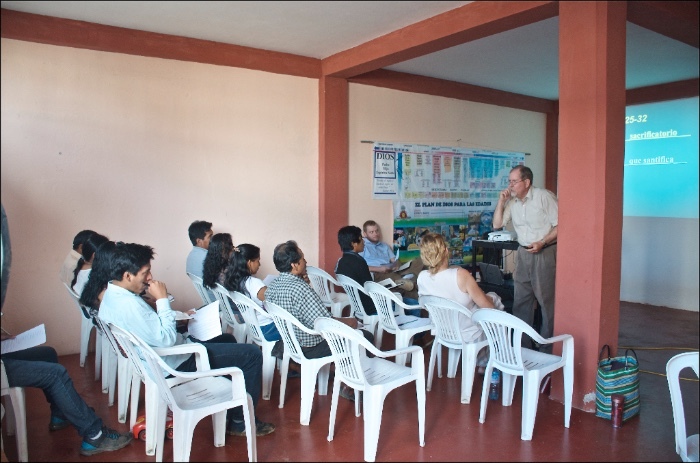 By October when our national team left for Cusco, Bob began a preaching series at church, teaching on the basic doctrines of the Bible. Along with our normal church ministries, our days and weeks are currently filled with visiting church members, as well as other contacts from the community, in their homes or fields and doing Bible studies. Additionally, we have already been doing survey trips to surrounding communities to see the viability of beginning future churches in these areas. Our goal is begin Bible studies in these communities in 2016 in order to prepare for a future church plant. Our first guests came in November, when Bob´s friend/ language teacher came for three months. He came to help in many areas of the ministry, as well as to continue to challenge Bob in language acquisition. Additionally, Bob´s mother came in December and stayed with us for two months. She, too, helped in several areas, including projects at home and helping to kick off a ladies ministry with Becky. 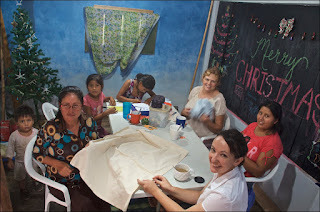 Bob's mother Terry and Becky teaching a sewing class for the church ladies! 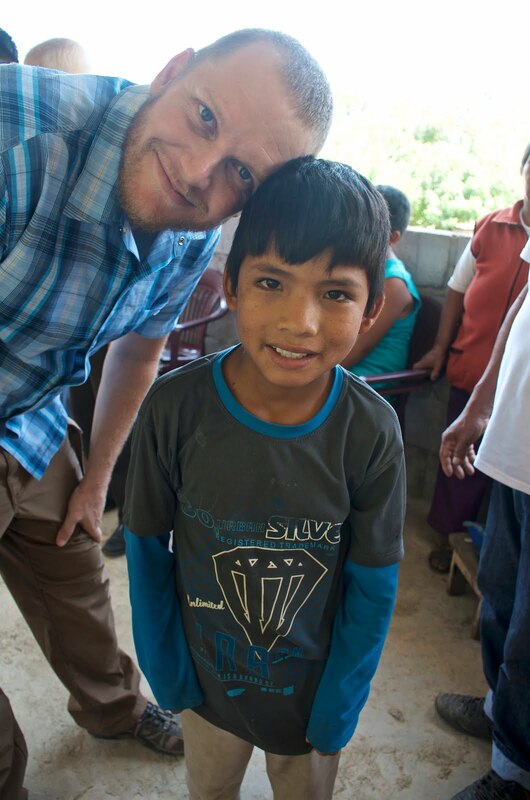 Bob and Jhon (correct spelling) a child from our jungle church! This year Becky has also been finishing her Masters degree in Biblical Counseling. Her thesis will be turned in by the end of March of 2016. 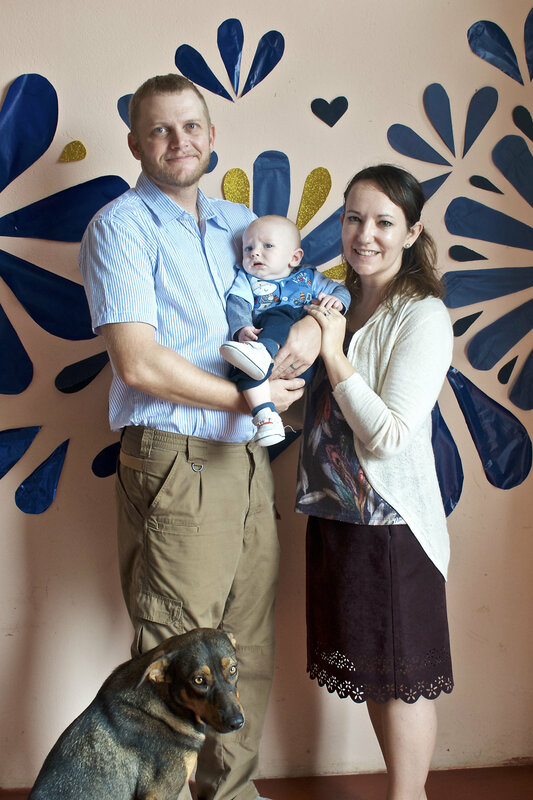 The topic of her thesis deals with infertility. 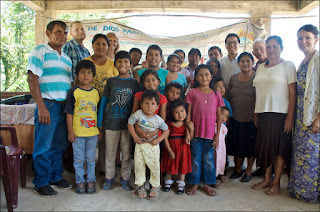 The church families with whom we work at Iglesia Bautista de Pillcopata (Pillcopata Baptist Church)! We are excited about 2016 and what the Lord is doing in Pilcopata and surrounding communities. We pray that the Lord would continue to lead and guide and to show us His will concerning the future for jungle ministry in Southern Peru. We have many exciting plans for future ministries and look to the Lord for His guidance in each! Thank you for your prayers and support. God has protected us from many dangers and has blessed in ways that only prayers can provide! Thank you for your faithfulness in praying for us and for the Word of God to have an open door in the jungles of Peru!